Dedicated Home Inspector serving the Greater Toronto Area with high quality Home Inspection services and proper detailed. Buying a home can be one of the biggest investment that a person can makes. We can help you reach an informed decision. Your home inspector will walk you through your home, point out any finding and provide a comprehensive report that can help you reduce any concerns you may have on general condition of your prospective home. A professional home inspection is your best tool when it comes to making the most of your home investment. Whether you are buying or selling an objective professional inspection will provide you with important information that you can use. If you are buying you want to know that the home you are considering is safe and sound. You want to avoid unwelcome and costly surprises. If you are selling your home you will need to make full disclosure of any or all the deficiencies. You will want to know what, if any, repairs to make so you can market your home most effectively. Which ever side of the `for sale’ sign you are on, a quality home inspection is essential. You want as much information as possible about the home you are considering for purchase and a comprehensive home inspection offers important protection for your investment our inspection evaluates home safety and structural and mechanical soundness. We look for any risks to your family health we identify potential maintenance issues and help you eliminate unwelcome surprises. Our inspection gives you a powerful marketing tool to set your home apart. We point out repairs that you may wish to make before you put your home up for sale our evaluation and report provide the information you need to sale. A pre-sale home inspection can be your competitive edge, when it comes to offering the buyers great peace of mind. Buy or sell your home with confidence. We are proud of our works and focus on our skills. This section include: doors, windows, heating and cooling, interior finishes, plumbing, and electrical systems. Frontier Professional Home Inspection offers a high level of inspection expertise to owners and investors of 2 flats, 3 flats and multi-unit apartment buildings. Our professional inspections can help you with your light commercial inspection needs. Small office buildings, restaurants, apartment buildings, warehouses and more! 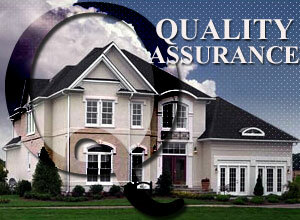 Our inspections help protect unsuspecting home owners against unwarranted repairs. Infrared (IR) Thermographic Inspections can quickly identify problem areas that cannot be seen by the naked eye. Thermography allows us to see and measure heat. Copyright © 2019 FrontierHomeInspection 416.453.1255 . Designed by Glamourgate Inc.